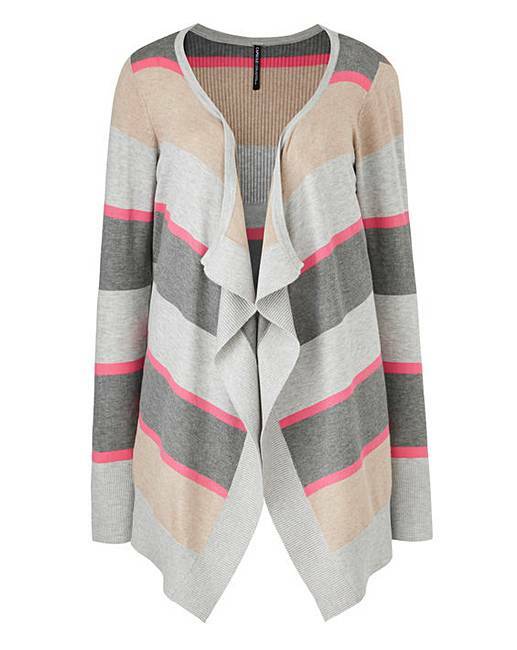 Multi Stripe Waterfall Cardigan is rated 5.0 out of 5 by 2. As one of our best selling lines, we've updated our waterfall cardigan this season with a longer length and added rib detailing. Great as a layering piece or wearing on its own. Featuring a fine-knit, long sleeves and a ribbed waterfall front. Rated 5 out of 5 by KathrynP from Great cardigan This cardigan is quite stylish, and comfortable to wear. Will pretty much go with anything! Rated 5 out of 5 by Gilly47 from Excellent fit, sleeves a bit long, good. Good quality just as described.Very smart cardigan..